With graduation fast approaching, we’re taking the month of April to honor our M&T Class of 2015 with a few Senior Spotlights. This installment comes to us from Shaun Ayrton about his favorite activity at Penn. Sport has been a passion of mine from the time I was old enough to walk. Between the ages of five and twelve, I was introduced to a number of different sports and continued tennis, golf, cricket, badminton, athletics and swimming throughout my high school years. When I came to UPenn, I was delighted to learn that there was a strong cricket team, comprising predominantly of fellow international students both from the undergraduate and graduate schools. 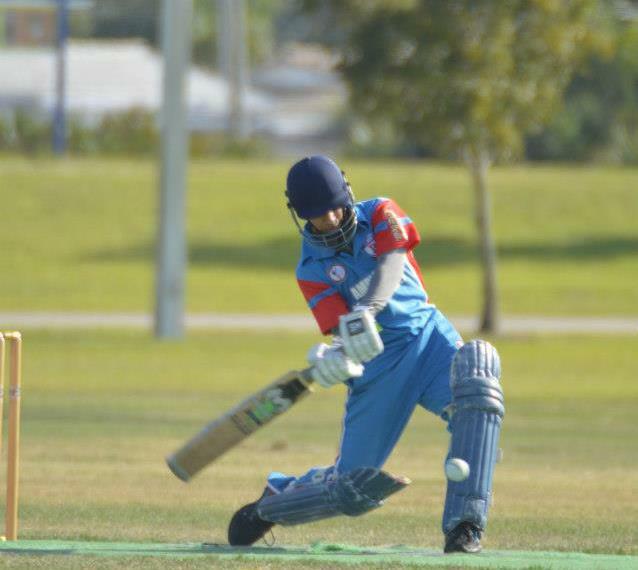 Although cricket is not a prominent sport in this continent, it is rapidly growing in popularity due to the growth of the American College Cricket League. After joining the team in my freshman year, I continued to play the game throughout my sophomore and junior year until I became president and captain in my senior year, an incredible opportunity and learning experience for me. During the fall semester, we played many competitive fixtures including three major tournaments: the Ivy League tournament, the Regionals and the Haverford Invitational. Our performance in these tournaments, which included winning the Haverford Invitational, qualified us for the Nationals in Florida during Spring Break. You read that right, Florida! The National Championship is the most prestigious collegiate cricket tournament in North America where the best 40 teams are invited to compete for the trophy. I have had the privilege of representing UPenn at this tournament for three years and easily consider these seven days every year a highlight of my Penn experience. As a team, we have always trained hard leading up to the tournament, which is a mental test as much as a physical one due to the increasingly bitter winters. The most amazing aspect of the Nationals is the unbreakable bond of friendship and unspoken respect that are forged. There is something special about playing on a competitive sports team: training hard together, living together, going out together and experiencing the crushing disappointment of a narrow defeat or the exuberance of victory against a better ranked team together. Come to think of it, had it not been for cricket, it would have been impossible for our team of both graduate and undergraduate students to have ever met, much less become good friends. This year, the team consisted of students from India, United States, Nepal, Zimbabwe, United Arab Emirates, Australia and a retired US Navy seal! I do believe that sport has the unique ability to unify people of differing socioeconomic backgrounds and transcend barriers of race, language, vocation and religion. I feel very fortunate to have had the opportunity to play sport in my formative years and do believe that sports can be used as a unifying tool for developing social tolerance, promoting peace, and supporting international development. Now, as I stand on the verge of graduation, I would like to sign off with one final observation. People often perpetuate the impression that M&T students have an overwhelming and almost stifling course-load. While we do take a couple more credits per semester compared to the average, I do not believe that this has inhibited my college experience in any way. Cricket is just one of the student clubs that I have had the opportunity to immerse myself in and can attest to the fact that the vast majority of M&T students find the time to follow their passions in a wide variety of student groups and Greek Life on campus. In the same vein, it would be a crime not to mention the outstanding M&T community, but there is enough in that for another entire blog! Shaun, originally from Dubai, is a member of the M&T Class of 2015. He studies Computer Science within Penn Engineering and Finance, Management, and Entrepreneurship & Innovation in the Wharton School. After graduation Shaun will join McKinsey in New York as a Business Analyst.